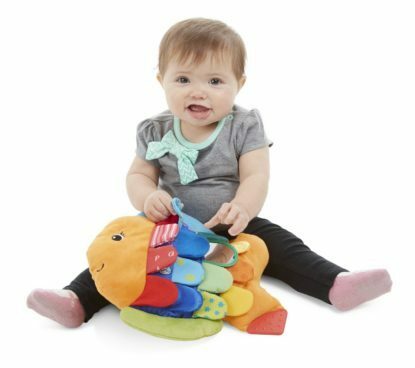 Melissa & Doug Flip Fish Toy Just $12.74 (Was $17)! You are here: Home / Great Deals / Amazon Deals / Melissa & Doug Flip Fish Toy Just $12.74 (Was $17)! It’s like a flip book only it’s a snuggly fish instead! Pop up each of the scales to find the pictures underneath! Snag the Melissa & Doug Flip Fish Toy for Just $12.74 (Was $17)!